Held the event at Whole Foods Market with vendors and sponsors under a 20' X 30' tent. 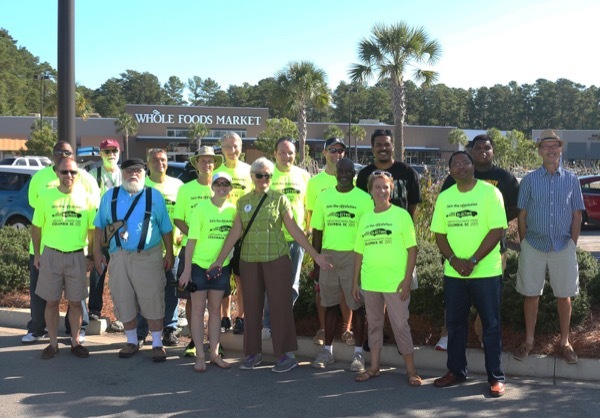 Whole Foods set up the Giving Grill which offered $5 hamburgers and hot dogs with proceeds going to our two non-profit benefactors (Keep the Midlands Beautiful and the Landrum Washington Scholarship Fund). Columbia's Electric Tailgate Party is FREE and open to the public! Come join us and check out a variety of electric cars and plug-in hybrids. 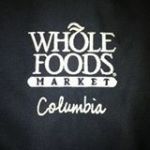 Enjoy a delicious lunch offered by Whole Foods through their Giving Grill: Whole Foods employees will be grilling food with all proceeds going to our non-profit partners. comment, like, and share with others that are interested in (PH)EVs. Chevrolet Volt PHEV GM's EREV, extended range electric vehicle, with a 16.5kWh Li-ion battery from LG Chem, giving the Volt a 38 mi all electric range and 379 mi total range. Porsche Panamera S E-Hybrid PHEV The Porsche Panamera S E-Hybrid is a plug-in hybrid version of Porsche’s Panamera sedan. It is powered by the same 333 horsepower 3.0L V6 engine and a 96 horsepower electric motor found in the Cayenne S E-Hybrid, which can take the sedan from 0 to 60 mph in just 5.2 seconds. The 9.4kWh battery pack will power the Panamera S E-Hybrid up to 15 miles at up to 84 miles per hour. ... All in one location at one time! "In 2011, we moved our headquarters and manufacturing plant to Greenville, SC. Our close proximity to Clemson University’s International Center for Automotive Research (CU-ICAR) gives Proterra access to tremendous research and development resources. Our headquarters are located in South Carolina and the sales and marketing team operates from the new office in the San Francisco Bay Area, the technology capital of America." This Vehicle will not be on site this year. Experience plug-in cars vehicles for yourself. Dr. Kevin S. Asbill, Jr. There are currently 80 attendees registered. Registered attendees report 120,500 electric miles driven.